I chose this art work because I found extremely interesting to see how the accumulation can be a stong a way to show a message, without really doing or transforming a new object (using a manufactured product). 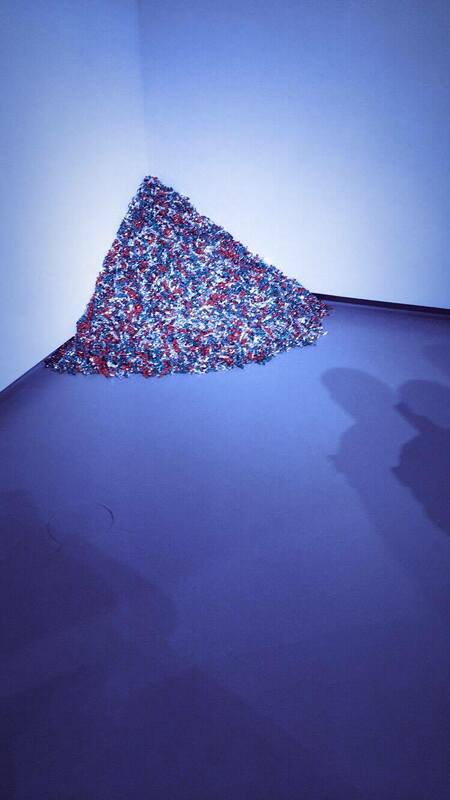 This cone of black candies at the corner of a room, blue candy rugs like a pool of lapis lazuli … All these simple forms, these recognizable volumes evoke the history of modern art, from its geometry to its minimalism. 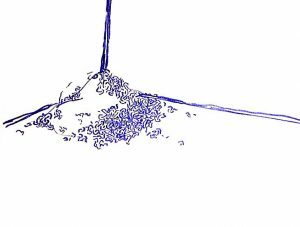 This is the story that Felix Gonzalez-Torres offers you: this inaccessible dream of modern art, that of being universally recognized by its biblical simplicity, by these ideal forms, puts it at your fingertips: serve -you. Felix Gonzalez-Torres produced work of uncompromising beauty and simplicity, transforming the everyday into profound meditations on love and loss. “Untitled” (Portrait of Ross in L.A.) is an allegorical representation of the artist’s partner, Ross Laycock, who died of an AIDS-related illness in 1991. 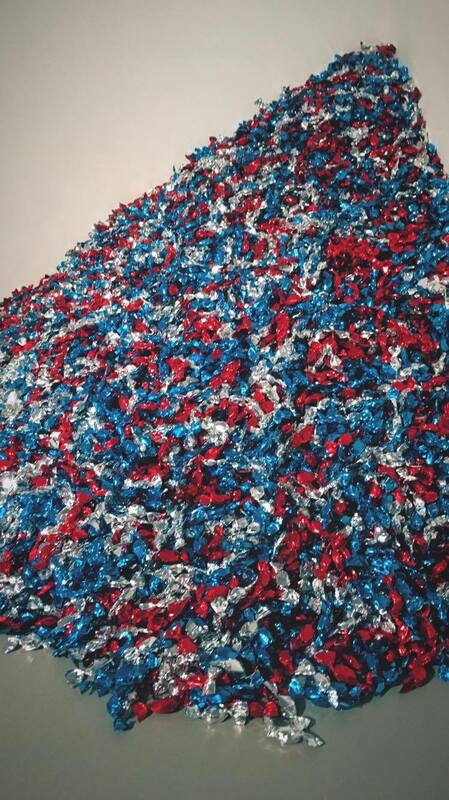 The installation is comprised of 175 pounds of candy, corresponding to Ross’s ideal body weight. Viewers are encouraged to take a piece of candy, and the diminishing amount parallels Ross’s weight loss and suffering prior to his death. 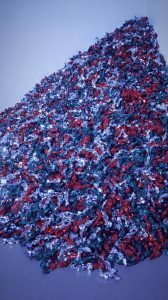 Gonzalez-Torres stipulated that the pile should be continuously replenished, thus metaphorically granting perpetual life. It is meant to remain off limits, maybe because of the work’s weightiness. As the 175 pounds slowly diminishes, it will mirror how Gonzalez-Torres’s late partner, Ross Laycock, wasted away until he eventually died of complications from AIDS. (At just 38 years old, Gonzalez-Torres also died from AIDS in 1996.). What he makes available, what he puts at your disposal is not a reproduction, a by-product, an edition, a tablet Gonzalez-Torres, but a work where the notion of original, piece unique, irreplaceable, is no longer necessary. 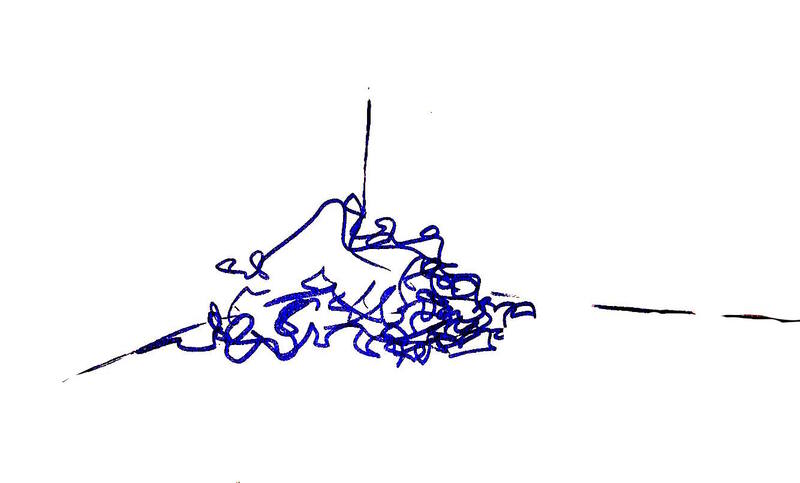 As the artist said: “A single sheet of paper taken from one of the piles does not constitute the piece itself, but makes it a stand-alone piece. At the same time, the sum of many pieces of this identical paper is the piece, but not really either because there is no piece, or rather there is only an ideal height of infinite copies”. At the same time, Gonzalez-Torres has definitely ridiculed the notion of “limited edition”, these prout-ma-chère of the art market. But it does so in forms: what constitutes the ideal stack, the ideal piece, is not a number (x candies), not a height (x meters), nor a width, but simply its weight. Nothing is more anti-monumental, that is, more humane than this measure.